If you were to ask most people in the world, they would have some idea about what the Zumba® program is. But there are many misconceptions associated with the brand. We’re here to put some of those to rest right here and now. We often tell people that anybody – and we mean anybody – can take a Zumba class. And we aren’t kidding! All you need is the will to move. Whether you’ve got zero coordination, two left feet, or have been a dancer all your life, there’s plenty of fun to be had. Unlike a traditional dance choreography class, the Zumba formula consists of basic steps that are frequently repeated, set to amazing tunes. So, it’s not about nailing the moves. It’s all about feeling the music and simply moving, period. Probably one of the biggest misconceptions out there! While it’s true that the dance-fitness workout was originally Latin-inspired, it has grown to cater to a global audience. When you take a class, of course you will always hear the much-loved Latin songs, but also expect to hear everything from pop, hip-hop, and salsa to reggae, dancehall, and even EDM. It’s pretty amazing where a career with Zumba Fitness can take you. Because it’s your own business, the possibilities are endless. By joining the Zumba Instructor Network and having access to exclusive choreography and music, those endless possibilities become even stronger. Imagine being a licensed Zumba Instructor who travels the globe to train other instructors. Or making special appearances on TV and DVDs. You might become a choreography specialist (aka Zumba Jammer). Or you might make an impact on hundreds of students each week in your regular classes. It’s up to you to take your career as far as you want to go! We know. When you take a look around your class, you see more women than men. But that’s not to say that the men aren’t there! Men love dancingjust as much as women do and they feel that #ZumbaBurn just like anybody else. 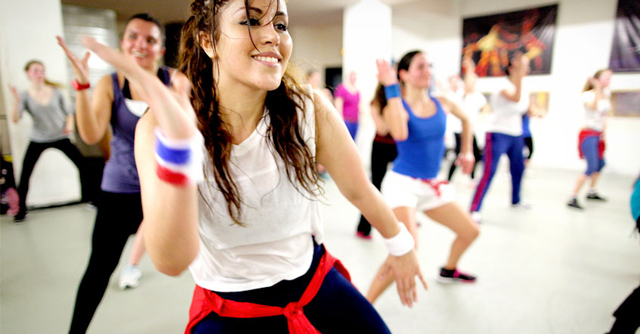 Zumba classes are one of the most effective forms of cardio out there. But more than that, they help to build muscle tone, increase flexibility, and even boost your mental health. But, don’t take our word for it. Check out this study by ACE Fitness. We respect your privacy and promise to NERVER EVER share your email or any details.